Until the end of August, the cruise line’s two luxury ships Genting Dream and World Dream are hosting thematic sailings of Hotel Transylvania 3: A Monster Vacation, the latest instalment of the animated film franchise. Passengers of all ages will live out their ultimate fantasy in the company of lovable movie monsters through meet-and-greets. 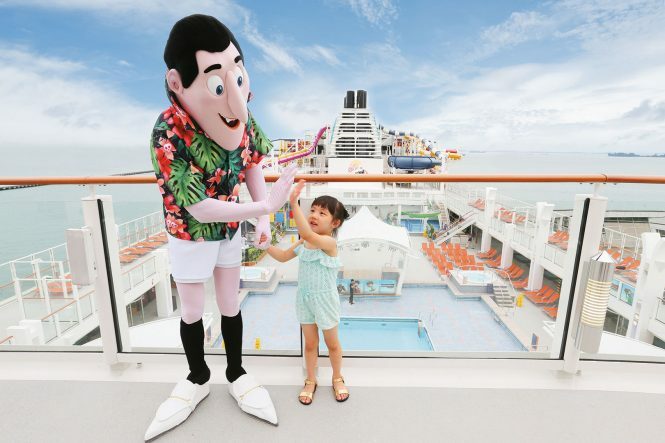 This summer, your children’s favorite characters from Sony Pictures’ Hotel Transylvania are setting sail with Dream Cruises on what promises to be a monstrously fun voyage. Passengers of all ages will live out their ultimate fantasy in the company of lovable movie monsters through meet-and-greets, bedtime storytelling, treasure hunts, costume parties, and pool parties as the whole family journeys across the sea to idyllic summer destinations in Japan, Vietnam, Indonesia, Cambodia, Malaysia, and Thailand.